Rivers with their riparian forests are important lifelines in dry lowlands over East Africa. These river valleys provide habitats for many endangered plant and animal species, and essential ecosystem services as ground water, fertile soil, wood, shadow and protection against erosion. In consequence, many people were settling along these rivers. This caused a conflict between human livelihood and nature conservation. Population ecology analyses on selected animal species representing the gallery forests in combination with detailed land-use observations give information on (i) potential changes of habitat structures from original intact and interconnected gallery forests into today highly degraded forest fragments, (ii) recent situation for the persistence of species living in these today highly fragmented gallery forests, and (iii) future trends and potential solutions how to conserve this forest habitat, and thus safeguard biodiversity and life quality for the local human population. (Markers: GIS, Remote-sensing, telemetry, bioacoustics, biometry, genetics; Funding: Technical University Munich and others). 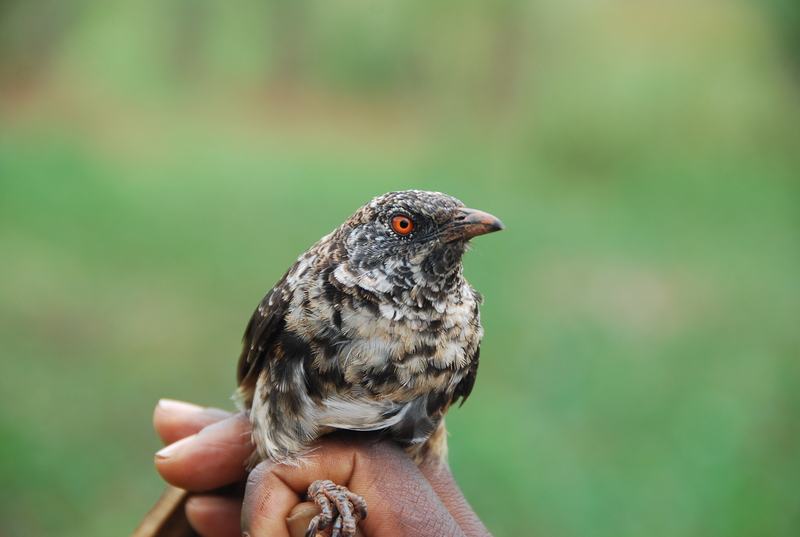 Read more: Habel JC, Teucher M, Pschonny S, Rost S, Fischer C (2015) Beyond prime areas of nature protection in East Africa: conservation ecology of a narrowly distributed Kenyan endemic bird species. Biodiversity and Conservation 24: 3071-3082. Teucher M, Fischer C, Busch C, Horn M, Igl J, Kerner J, Müller A, Mulwa RK, Habel JC (2015) A Kenyan endemic bird at home in invasive thickets. Journal for Basic and Applied Ecology 16: 180-188.